The Kolkata Knight Riders are here to take on the Chennai Super Kings in the 29th game of the IPL 2019. The match will be held at the Eden Gardens in Kolkata. The news from the centre is that the MS Dhoni has won the toss and has elected to bowl first. Placed on number two of the IPL 2019 points table, the home team would want to better their record against the Chennai Super Kings. Out of the 19 games played between both the teams, Kolkata Knight Riders won seven games whereas, CSK has walked away with a victory on 12 occasions. KKR vs CSK, IPL 2019, Kolkata Weather & Pitch Report: Here's How the Weather Will Behave for Indian Premier League 12's Match Between Kolkata Knight Riders vs Chennai Super Kings. 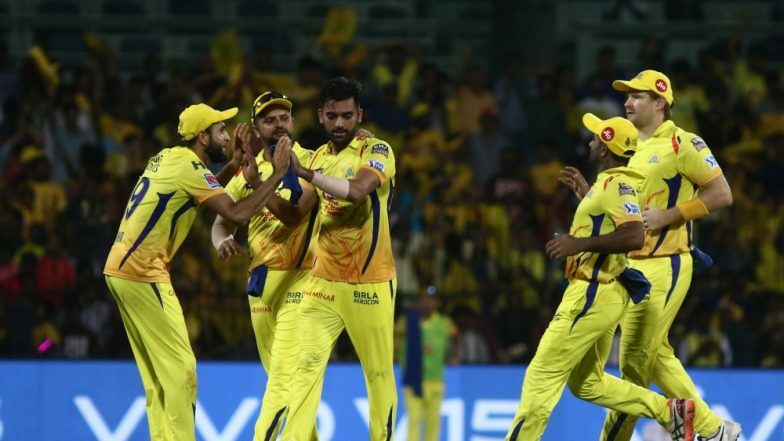 The IPL 2019 points table has Chennai Super Kings has CSK on number one of the table with 12 points, whereas KKR occupies the number two spot with eight points. Team Chennai has lost only one game in the IPL 2019 so far and they would want to keep going with their winning streak. So overall, the contest is touted to be a quite a mouth-watering one. It would be interesting to see how KKR comes back after their last loss against the Delhi Capitals. Check the live score here.